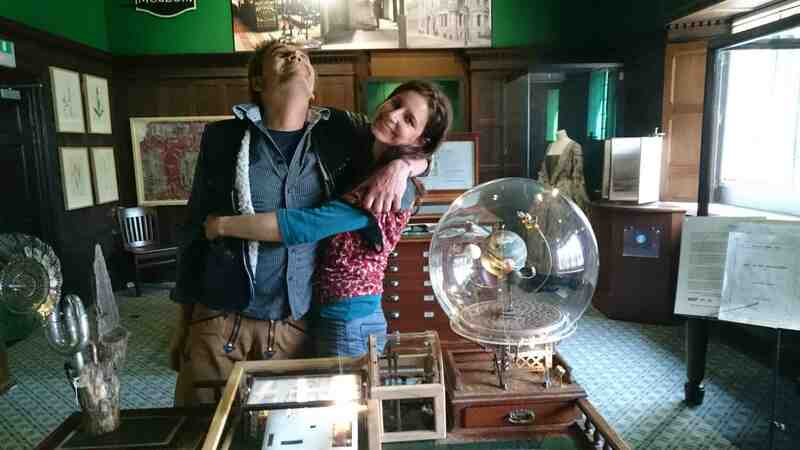 We are Tara Downs and Bart Sabel and we work together to create Miniature Museums that fuse museology, art and interactivity using a combination of analogue and digital processes, steam-age engineering, storytelling and a delicate attention to detail. We encourage inquisitive actions by creating a range of ways to trigger lighting, animate automata, activate images and sounds. MM content evolves as a bricolage of research, object and story gathering, artistic creations and reinterpretation, ideally as a reciprocal process: with some of our works, we host collecting days, inviting conversations and visitors to contribute content, which we transmute into the exhibit. We experiment with provoking curiosity – making visible the mechanisms usually unseen, presenting things based on truth but also teetering over the edges of fantasy. This encourages looking again, humorously calling the viewer in-to question. In our works together we combine our backgrounds, interests and skills, our love of research and involving people. Between us we have worked with sculpture, theatre design, creating outside performances, parades and exhibitions, large-scale constructions, mechanical inventions, anthropological and museum studies, electronics, engineering, community carnival arts and craft education. As Miniature Museum, in 2014 we were awarded an ACE grant to continue with the development of our technical and interactive skills and exploration of creative audience engagement strategies. This also enabled us to take up the invitation from Stroud International Textiles Festival to make a work for Newark Park, a National Trust Property in Gloucestershire, – you can read more about that here. In 2014-15, we created a ‘Desk of Ingenuity’ – our ‘Miniature Museum of Museums’ – that combined inspirations and elements from 3 very different museums and appeared in each: Museum in The Park, Stroud, Gloucester Waterways Museum and Holst Birthplace Museum Cheltenham. This experimental project ‘Friction’, that explored reactions to the crossover of contemporary art and museums, and the movement between different sites, was commissioned by Flow Contemporary Arts. See more here. Friction was a project also made possible thanks to Arts Council England funding. This year, we explore new networks and ways of working internationally, thanks to Arts Council England and British Council Artists International Development Fund: see NOW! I saw your Miniature Museum in the museum in the park. Your work is wonderful. 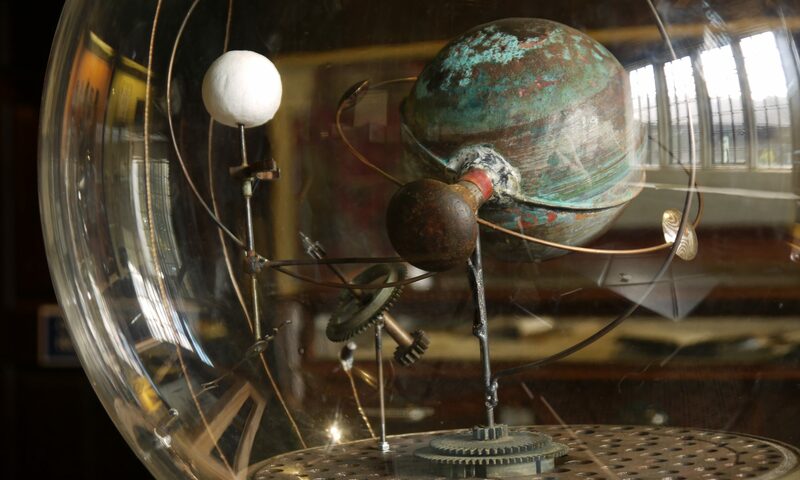 You have created an interactive & inspirational ‘cabinet of curiosity.’ Loved it, thank you. P.S. if you feel like filling out a short survey questionnaire, please do! Thank you so much. Your work is wonder-ful, humorous, encouraging making, skilful, etc, etc. I was visiting Stroud friends for the day (from Birmingham) & was taken to the Museum. I’ll visit your Cheltenham site. Thank you Robert! And good to hear that you feel inspired to visit in Cheltenham – some cross-museum visiting and interest is one of the things we aimed to encourage.